Willie Collins Service Details - Toledo, Ohio | The House of Day Funeral Service, Inc.
Obituary for Willie Collins Jr.
Willie Collins was born July 2, 1961 to Mary Alice Collins and David Watson in Montgomery, Alabama. He graduated from Farragut High School in 1979 in Chicago, Illinois. 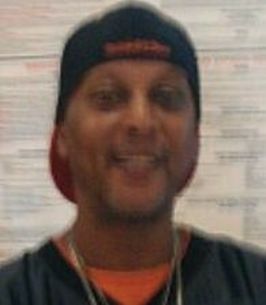 Willie was employed by Franklin Park mall as a Maintenance Manager for 10 years. He will be truly missed, along with his great smile and his sense of humor. He leaves to cherish his memory, sisters, Peggy Collins of Chicago, IL. and Beverly Collins of California; brother, Harrison Collins, cousin, Curtis Thomas; uncle, Edward Witherspoon from Detroit, MI. ; aunt, Joy Collins from Marion, OH; special friend, "His Boo", Lisa Conner, and special thanks to Terry Harris and a host of family and friends. To send flowers to the family of Willie Collins Jr., please visit our Heartfelt Sympathies Store. We encourage you to share any memorable photos or stories about Willie. All tributes placed on and purchased through this memorial website will remain on in perpetuity for future generations. What do you say about a guy like Willie? What a character! Always smiling, making jokes and working circles around everyone else at the mall. As part of his mall family, we will miss him very much. Our sincere condolences to his family and loved ones. We will treasure our memories of this remarkable man. Condolences to the Collins family. Our thoughts and prayers go out to your whole family. Psalms 147:3 says God, "heals the broken hearted, and binds up their wounds." May God bring you comfort and peace.